This page highlights the old commercial signs that made it to at least 2005. 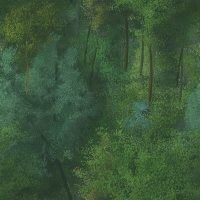 All pictures by Mapmikey unless noted. An old Gulf Station on VA 92 in Chase City. Taken 11/10/07. An old Amoco sign on SR 660 north of Boydton. Taken 11/10/07. This is on SR 607 in Patterson. VA 100 is right behind me. Taken 1/21/09. This is on US 29 north of Madison. When I passed by in March 2008 this had become a functioning Sunoco station. Taken 1/23/07. This old American sign is on SR 602 just east of US 33 near McGaheysville. Taken 11/17/07. This is on VA 40 near Sussex CH Taken 10/16/12. This vintage BP sign is on SR 616 just west of SR 612 Heflin in Stafford County. Taken 12/29/07. This is on SR 711 near Harmony (Halifax County) Taken 10/21/10. This old BP sign is on SR 762 (old VA 79) at SR 714 east of Lodi. Taken 5/2/14. This is on VA 65. Taken 9/5/09. This is on SR 606 west of Pleasant shade, Brunswick County. Taken 10/22/13. This coke-colored sign is located at the end of old VA 281 in Rockbridge County. Taken 12/8/07. This is on SR 678 (old VA 269) Williamsville. Taken 8/30/08. I believe this was on SR 635 in Hustle (Essex County). Taken 10/19/10. This is on SR 903 in Ebony Taken 3/6/10. This is on SR 628 on the shore of Airfield Pond near Wakefield. Taken 1/21/08. This is on SR 870 (old US 23-58-421) near Gate City. Taken 4/22/10. This is on SR 811 (old VA 127) near US 221 Forest. Taken 12/11/09. This is on VA 4 north of Kerr Dam. Taken 3/6/10. This is Greenwood Rd at Old Washington Hwy south of Elmont. Taken 1/7/12. This is on US 29 NB in Amherst County. Taken 1/11/10. This is on US 301 north of Emporia Taken 3/22/13. This old Mobil sign is on VA 13. Taken 2/15/08. Here is the same Mobil sign from the other direction. Taken 4/23/13. A nice old Phillips 66 sign on SR 618 (old VA 138) south of La Crosse. Taken 1/21/08. This is on US 33 in Louisa. For years this sign was painted black with a Dale Earnhardt 3 on it. Taken 1/23/10. This one is on VA 259 in Mayland. Taken 5/29/15. This one is on VA 10 I believe near Burrowsville. Taken 5/26/07. This one is on VA 83 east of Haysi. I don't recall ever seeing one of these with the "Be sure with Pure" slogan on it. Taken 8/18/07. This is on US 70A near Pine Level. Taken summer 2010. This is on SR 738 (old VA 99) west of Pulaski. Taken July 2009. This is on US 340 north of Waynesboro. The Sunoco sign is partially covered on both sides Taken fall 2010. This is on VA 67 in Raven. Taken 7/21/07. This is on VA 72 in Darwin. Taken 8/1/08. This is on SR 645 Clifton. Taken 11/26/08. This is on US 1 south of Thornburg. This is a transplant from another location and has only been here a couple years. Taken 5/23/08. This is on VA 14 Stevensville. Taken 11/7/08. This is on VA 43 in Kelso Mill Taken 1/11/10. This is on SR 606 Pinero (Gloucester County) Taken 10/19/10. This is on SR 626 Zanoni (Gloucester County) Taken 10/19/10. Here is a Union 76 sign on SR 703 (old VA 141) about halfway between Dinwiddie and Carson. From the other direction IIRC this is a Pure sign. Taken 3/1/08. This Union 76 sign is along SR 659 (old VA 27) near Kents Store. Taken 2/15/08. This is on US 11 just north of Exit 163 near Buchanan. I-81 is behind this property. Taken 12/11/09. 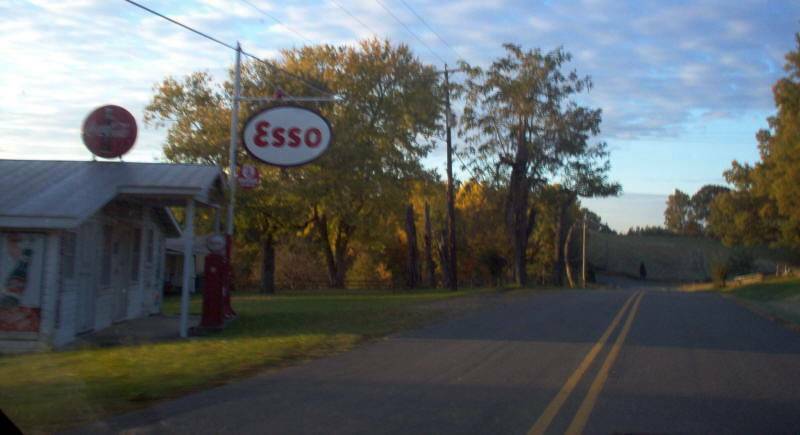 This Esso sign is on VA 161 just south of VA 356. Taken 3/22/08. This Esso Station revival is on SR 647 between VA 57 and US 58 in Henry County. Taken 10/26/06. Here is a Standard Dealer on US 58 Business Boydton at VA 92. Love that concrete surface! Taken 11/10/07. This is on Orange SR 629 (old VA 49) in Lahore. Taken 12/20/08. This is on US 301 a little south of Hanover CH. This was a recent install. Taken 10/21/14. This is on SR 811 NB just south of US 221 near Forest. Taken 12/11/09. This is on SR 619 near Aspen (Charlotte County). Taken 1/6/10. This is on SR 611 in Grizzard (Sussex County) Taken 10/22/13. This is on VA 198 just south of VA 223. Taken 6/5/10. Here is the only Sinclair sign I've seen in Virginia, on VA 360 at VA 349 Halifax. Taken 7/22/06. This is SR 615 just outside Floyd. Taken 12/5/08. This is on US 17 NB just inside the Stafford County line Taken 9/2/10. This is on VA 71 east of US 58 ALT. Taken 9/5/09. This is on VA 6 east of SR 800 near Schuyler. Taken 10/21/08. This is on VA 80 a little south of Haysi. Taken 8/1/08. This is on VA 83 east of Haysi. Taken 9/5/09. This Boron sign is on SR 634 in Hardy (Franklin County). Taken 6/27/15. This is on Stafford SR 612 in Hartwood. Taken 7/12/08. This is on SR 623 just south of I-64 west of Short Pump. Taken 4/23/08. This is also on SR 623 just south of I-64 west of Short Pump. This is next door to the Shell station shown above. In fact these are on some sort of vintage era fairground with other old stuff. Taken 4/23/08. This restored station is on the coner of Courtney and Mountain Rd in Glen Allen. Taken 12/5/14. This is on VA 55 Markham Taken 9/27/09.